For the consumer goods industry, 3D printing offers significant value. From the ability to create customised products to faster product development cycles, consumer goods companies and retailers can use 3D printing to remain competitive within an ever-changing, consumer-driven market landscape. With 3D printing increasingly being adopted by consumer brands, we take a look at 5 ways the industry can benefit from 3D printing, and the disruptive potential of the technology going forward. From personalised headphones to custom footwear, customisation is a term on everyone’s lips. Despite the hype, however, customisation remains one of the major benefits of 3D printing for consumer goods, particularly in a consumer-driven market landscape. With traditional manufacturing, producing custom products for specific applications requires intensive labour and set-up costs. With 3D printing, however, custom goods can be designed and produced much faster and cost-effectively, as it is not constrained by expensive tooling costs. The production of tools, manufacturing aids and injection moulds for short production runs can also benefit from 3D printing. The ability to create customised ergonomic tools can greatly reduce production time and costs. For example, Unilever uses 3D printing for injection moulding tools, helping the company cut lead times for prototypes by 40%. 3D printing can therefore transform the way consumer products are manufactured, and significantly reduce costs for small batch production. With greater design freedom, 3D printing offers great opportunities for product development. Now, the creation of geometries that would otherwise be too costly to produce or simply not possible to create with traditional subtractive methods is a distinct possibility. The ability to produce complex internal and external structures has already led to innovative products such as Footprint 3D’s 3D-printed shoe soles with incorporated lattice structures or bikes with optimised strength and functionality. Since 3D printing does not require any tooling, which takes a considerable time to produce, prototypes can be made much faster than with traditional manufacturing techniques. Multi-material 3D printing can also be used by retailers as part of the design validation phase, in order to create functional prototypes with a final product look. The possibility of having multiple design iterations using 3D printing can therefore speed up product development cycles, whilst offering greater design flexibility. 3D printing could also be used to modify existing designs, enabling retailers to create a personalised fit for customers at the point-of-sale. Since 3D printing can significantly help to reduce storage and inventory costs, the technology has the potential to transform supply chain management for retailers. With the possibility of on-site and make-to-order processes, companies can introduce more efficiency into their supply chains, whilst simultaneously reducing warehouse and logistics costs. The 3D printing process works additively, adding layers of material to produce a part – as opposed to traditional, subtractive manufacturing. Thanks to this process, 3D printing can significantly reduce material waste, thereby making the manufacturing process more sustainable. Nike has demonstrated the possibilities of waste reduction: by using 3D printing in its FlyKnit shoes, it has reported that up to 60% less waste can be produced compared to traditional cut-and-sew methods. For the footwear market, 3D printing has a huge potential. 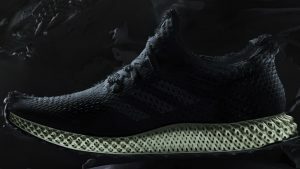 Several major sports brands are already exploring the scope of 3D printing for footwear — last year, Adidas revealed its 3D-printed Futurecraft 4D sneakers, using Carbon’s proprietary Digital Light Synthesis technology. The company now has plans to produce more than 100,000 pairs of shoes with 3D printed midsoles by the end of 2018. New Balance, too, has been using 3D printing for product development. The sneaker giant has recently teamed up with Formlabs to provide more personalised 3D printed footwear for athletes. Such developments could ultimately lead to the possibility of creating custom-made footwear with various functionality tailored to different needs – and quite possibly at scale. 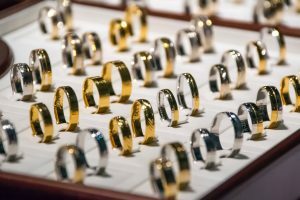 The value of precious metals for AM is expected to reach $1.8 billion globally by 2028, according to SmarTech Research. 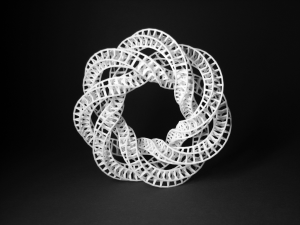 With this in mind, jewellery, accessories and decorative objects may well be the most successful application of 3D printing within the consumer goods industry. Within these segments, 3D printing can be used for both both direct and indirect manufacturing applications. Indirect manufacturing can involve the use of 3D printing to create a wax mould, which is then used in wax-casting. This process saves time, energy and high costs associated with hand carving models. Direct 3D printing with precious metals is also possible, although the number of 3D printing systems suitable for precious metals remains very limited. However, one company that has successfully used direct 3D printing is Austrian jeweller BOLTENSTERN,which unveiled a range of 3D-printed gold and platinium jewellery in partnership with Cooksongold last year. Although 3D printing electronics is still in its infancy, customised electronic enclosures, USB stick cases and keyboards are already a reality. 3D printing can be used to create electronic enclosures with a personalised touch, with complex shapes and various colours, graphics and sizes available. Dutch 3D configurator company, Moogue, has already seen success in this area, providing customers the opportunity to create their own customised 3D-printed phone cases. Customers are able to choose between a wide range of colours, images and patterns, and then get their unique designs 3D printed. While consumer goods manufacturers are increasingly recognising the benefits of 3D printing, there are still challenges to implementing the technology. Two key challenges in using 3D printing for consumer products is speed and scalability. While most 3D printing techniques are currently suited to low-volume production, consumer goods’ production is heavily oriented towards mass production. However, with technologies like Carbon’s CLIP technology, Digital Metal’s metal binder jetting systems, and HP’s Multi Jet Fusion all pushing the boundaries of production speeds and volumes, commercially scalable production system may well be within the realm of possibility. From faster time-to-market to cost-effective customisation, 3D printing offers a number of benefits for manufacturing consumer products. With advancements in 3D printing technologies, and the development of workflow management software such as RP Platform, consumer goods’ manufacturers should take a closer look at the benefits 3D printing technology can bring to product development and production. And as companies must constantly innovate and adapt to changing market trends, the adoption of 3D printing can help meet market demands while maintaining a competitive edge. This is the fifth in our 3D printing & Industry series. To read more, why not check out our last article on 3D printing and Aerospace?